Two Homes in North Park just blocks from Balboa Park. Spacious front home has 3 bdrm, 1 bath and laundry space. As you enter you’ll find the large living area including built-ins. Back home 2 bdrm, 1 bath with fireplace in living room. Original hardwood floors and interior doors! Price reflects condition; bring your TLC and updates. Close to restaurants, coffee shops, and minutes from the famous San Diego Zoo. Professional Photos coming soon! 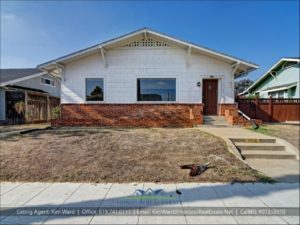 Click here for more details, including additional photos of 3142-46 Grim Avenue.